Raw material quality, quantification of UV stabilizers, antioxidants, waxes, slip additives and others. Additives are essential to process polymers and to assure their end-use properties. 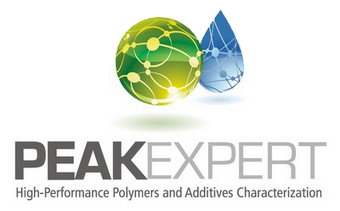 Quantification of numerous additives is available from PEAKEXPERT services. PEAKEXPERT assists you to implement a new method in your laboratory or reviewing any existing method. UV stabilizers, waxes and slip additives are our specialties. 1) a step of quantitative sample preparation : this step can be more or less complex depending the chemical nature of the matrix and the additive. 2) a step of analysis by HPLC chromatography of additives against a detector calibration. Depending of the case, quantitative NMR (mostly 1H, 13C possible), GC, UV or X-ray fluorescence techniques can be prefered. For special purposes, specific LC modes like temperature or gradient interaction chromatography are setup. Note :Tinuvin, Chimassorb, Irganox and Irgafos and trademark of Ciba, now BASF..